The Whistleblower Protection Act, or WPA, gives protection from retaliation or persecution to government employees that disclose to the police illegal and improper conduct that goes on in the workplace. The law is to protect any federal employees who uncover some wrongdoing and report it to authorities. Under the WPA, the government agency accused is not allowed to end the employment or “bully” a worker of government contractors, science based agencies like NASA, or national security personnel. 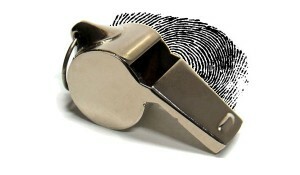 Who gets covered under the Whistleblower Protection Act? The whistleblower protection act only applies to employees of the government and other specially designated workers. Another condition is that the disclosure remains unrelated to the job. An example is corruption or harassment in the workplace. These fall under coverage. Violations that have to do with work itself must go through channels on the inside the organization. The government agency gets to correct the infraction internally. The WPA does not apply to private sector cases where an employee makes a report of a company’s misconduct. When it comes to cases like this, you will need to find council in an employment lawyer who will use statutes and precedents to argue your whistleblower’s case. There are whistleblower protection programs like OSHA who will advocate for an employee if they uncover wrongdoing involving the OSHA’s core industries. These include manufacturing, energy production, and distribution. When you cross over to the private sector, many companies use internal policies and rules that prohibit retaliatory actions against those that blow the whistle at a company level. A worker in these situations like this should get proactive when pursuing their rights and should get the help of a local NJ employment law firm. What can I do if I experience a retaliatory action? If you are a federal government employee and find that the company or organization you work for is doing wrong, many different outcomes can result. If you are not a federal government employee, the outcome is even more varied. The WPA law will not apply to you, and you cannot expect the same kind of protection. Even the federal law has some kinds of these actions that are not protected. When in the state ofNew Jersey, however, there is the Conscientious Employee Protection Act that extends some protections to you. Under CEPA, all employees that report misconduct, do not agree to take part in illegal activities for the company, or that testifies against an employer gets protected during the investigation of misconduct. They cannot be terminated or have any other form of retaliatory harassment from the employer. Residents ofNew Jerseycan file for protection under the law. Others that may indirectly concern these situations get covered as well. For example, someone who is not the whistleblower but can give supporting evidence against, or for a company will still not be retaliated against. Recording documentation of the interactions with your employer is the first step in finding justice during the whistleblowing process. Give yourself plenty of proof against the employer and as much credibility as you can get from your own past work experience.